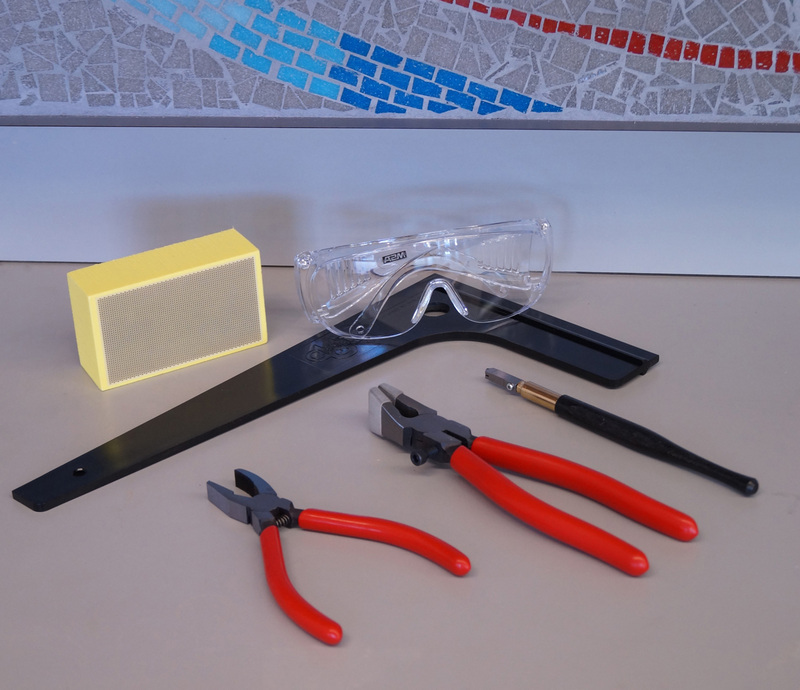 Get all your basic glass hand tools in one convenient kit! 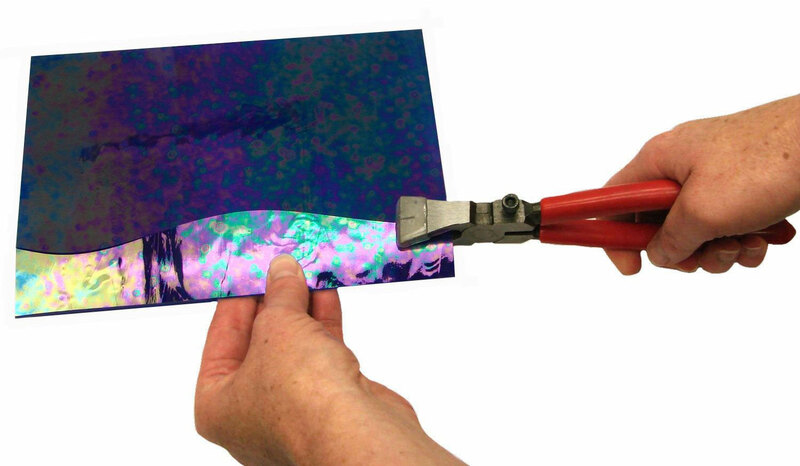 This is a low-cost way for beginners to get started in glass or for experts to get more essential tools at a bargain price. 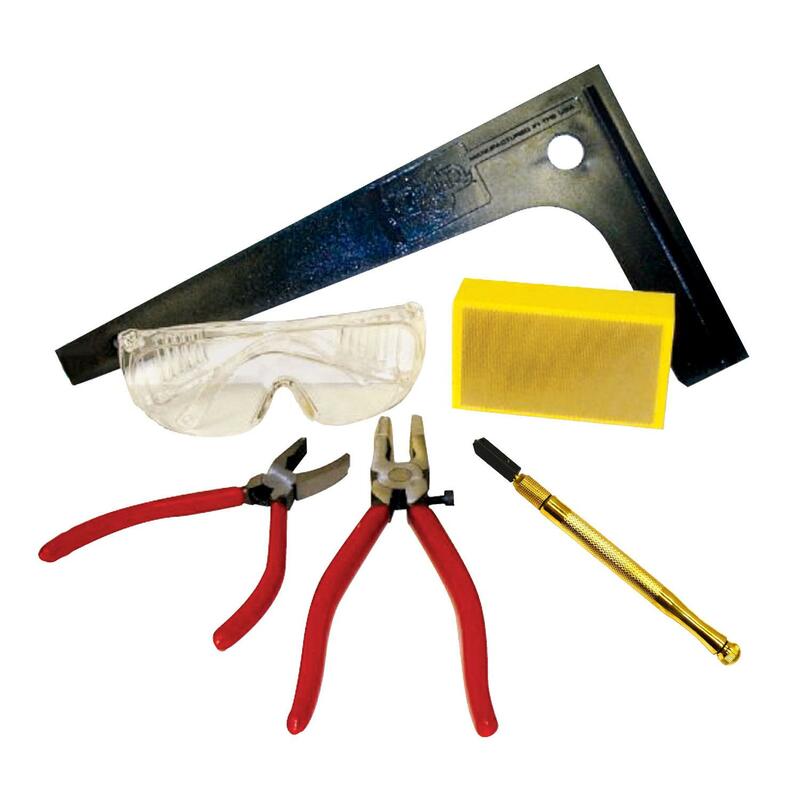 Features the Toyo Dry Wheel Glass SuperCutter, our favorite glass cutter, sturdy pliers, safety glasses and more! 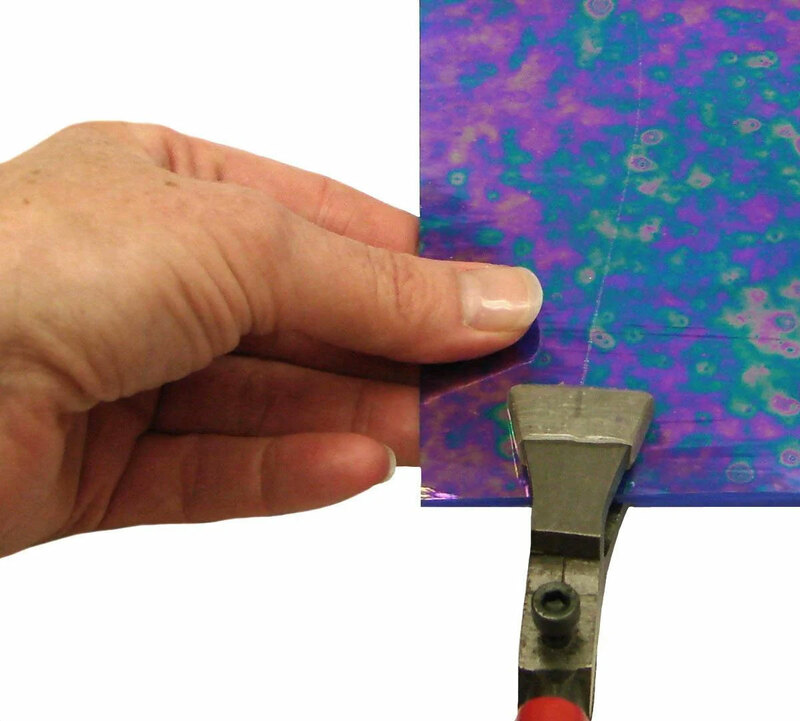 Use tools to accurately score, break and smooth edges on glass pieces. 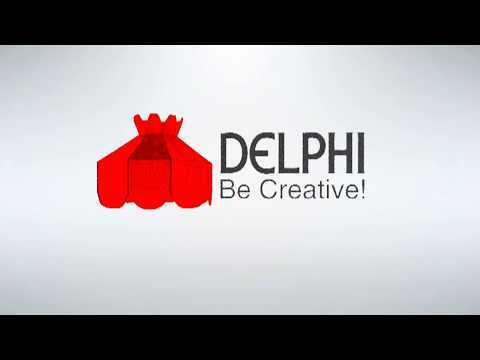 A Delphi Exclusive! 1. 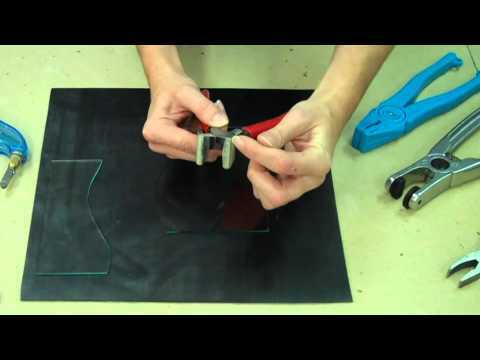 Use cutter and square to score glass. 2. Use pliers to break glass on score. 3. Smooth edges with diamond hand pad. Pros : Easy to use, everything you need, great for a beginner! 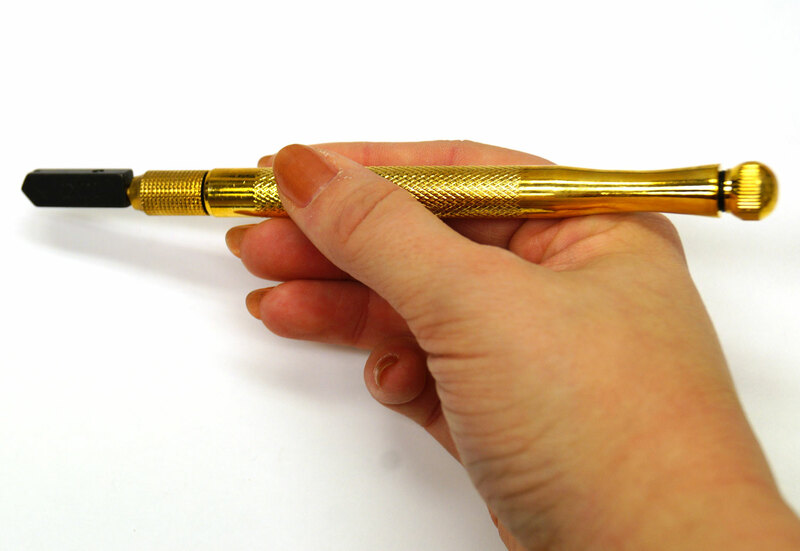 Pros : It has everything you need for jewelery projects. The Diamond Grit is great as I use a microwave kiln and sometimes its hard to control the temp. and kiln paper will stick, it easily removes that and smooths the back of my cab. Cons : The glass square does not have any measurement indicators. It was one of the reasons which I bought it together with my Fuseworks Kiln. Other Thoughts : If I need to buy another set again. 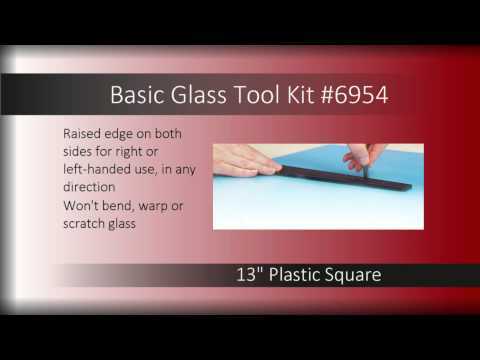 I probably will go for the Glass Value Kit #5015 just because I don't work on big items and it seems to have a ruler. Pros : Great kit for beginners -- it has everything you need to begin making glass pieces. 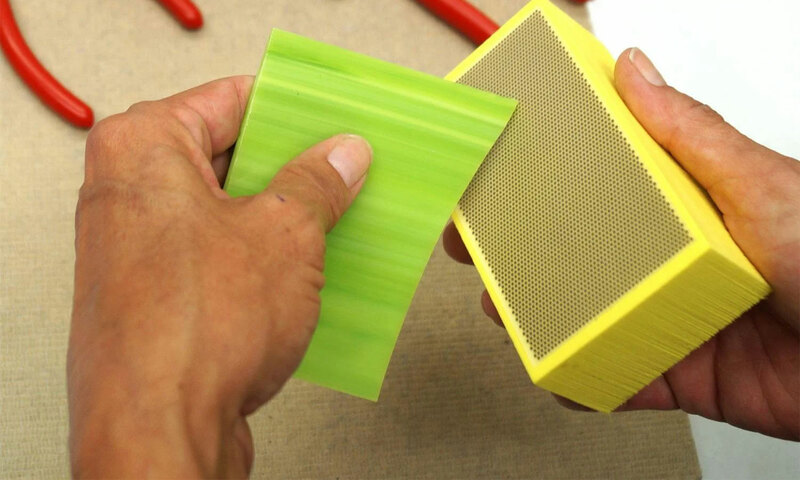 Each tool is high quality and easy to use. 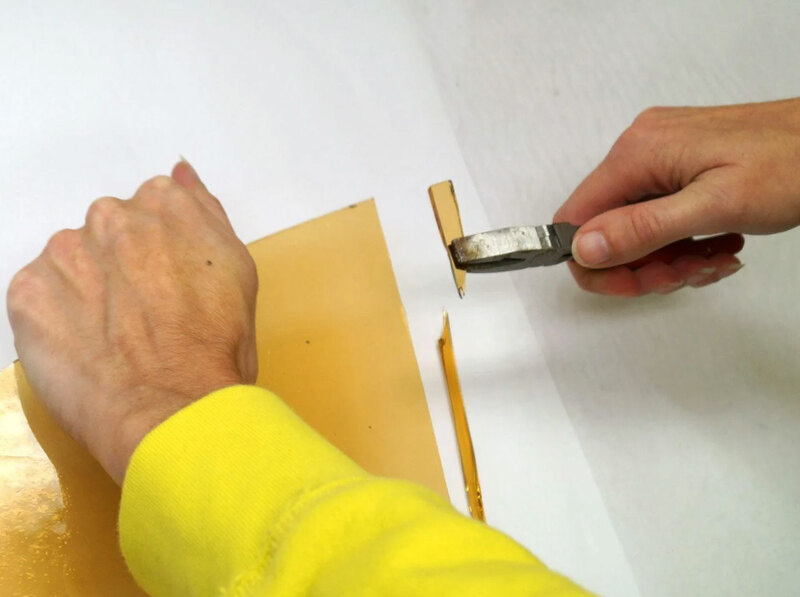 The supercutter works great and the straight edge is tremendously helpful when scoring your glass. Other Thoughts : Great kit -- all you need is the glass to get started. For the last few years, Dan Daniels, founder of Delphi Glass, has had his eye on China. With its rich art history and growing middle class, the country offers a new opportunity for the largest art glass retailer in America. In the United States, art glass, like woodworking or quilting, is a popular pastime. But until recently, China didnt have the luxury of pastimes. Ten or even five years ago, the Chinese didnt have the time or money to take on a hobby, Daniels said. Now thats starting to change. As a result of economic development, leisure-time activities are becoming more and more common in China. People are spending free time with their families, playing outside or visiting the mall. But there are no big box craft stores offering paper crafts, jewelry or sewing supplies in China. 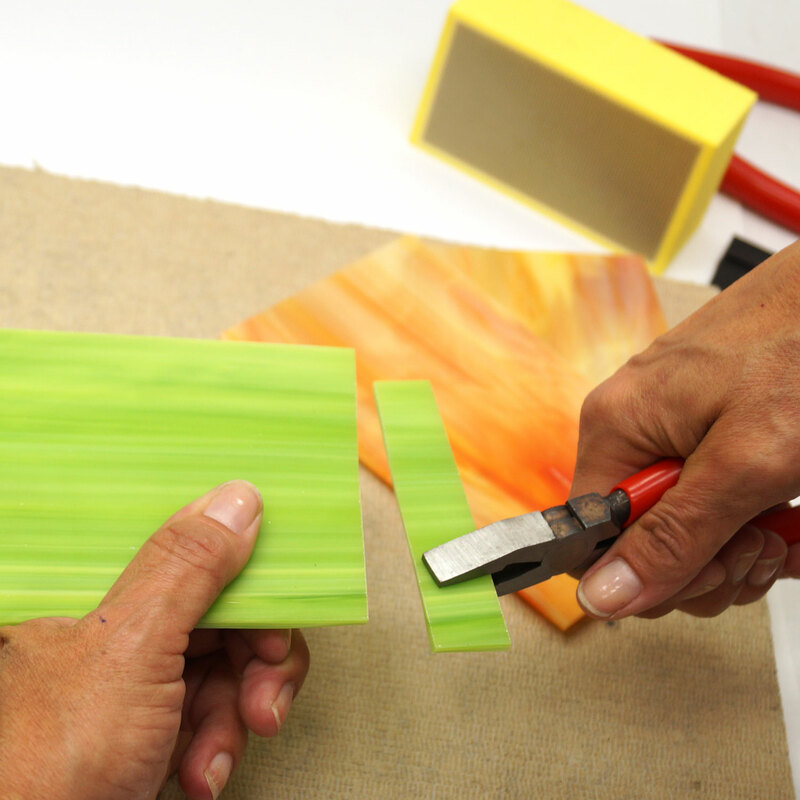 The craft industry as we know it in the U.S. is simply non-existent.